Magnificently located in the ancient hill capital of Kandy, The Radh Hotel is an oasis of calm and unrivalled luxury. 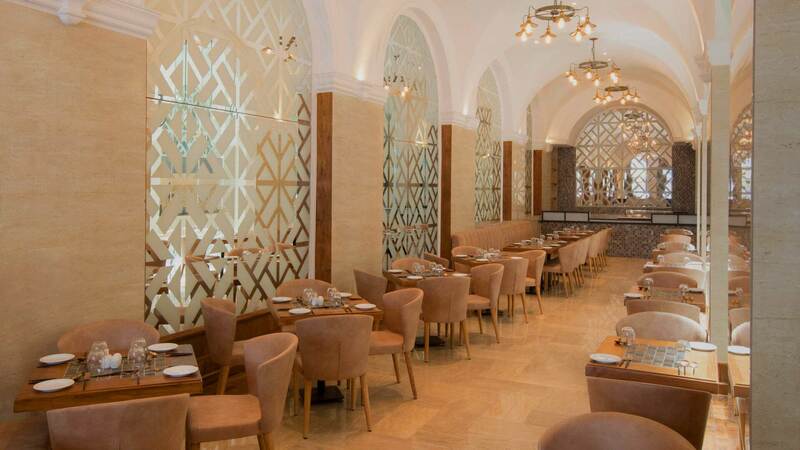 With exterior design and interior décor inspired by design motifs that are unique to the Kandyan Kingdom, The Radh is also an architectural masterpiece, a perfect fusion of the classic & contemporary. 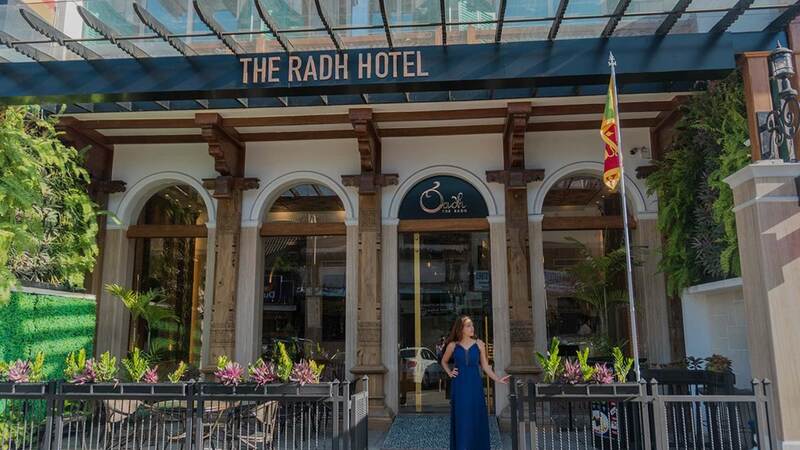 A luxury boutique hotel with 30 deluxe rooms and suites, The Radh is so named as a tribute to the former ‘Royal’ glory of the ancient Kingdom of Kandy and its splendid heritage. If you’re aconnoisseur of culture, history, refinement and taste, The Radh is your perfect abode in Kandy. Founded in the construction industry in 1953, the Conmix Group has diverse business interests in Sri Lanka ranging from Civil Construction, Hydro Power Generation, Building Material Manufacturing, Logistics, Trading, and Dairy. 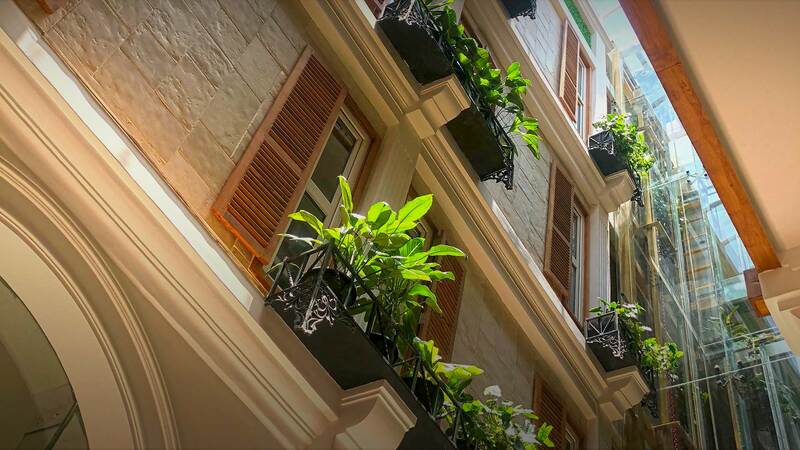 Buoyed by their experience and business acumen, accumulated over the better half of a century, the group made a foray into the hospitality industry with a flagship property in the heart of Kandy city, one of the most important tourist destinations of the country. 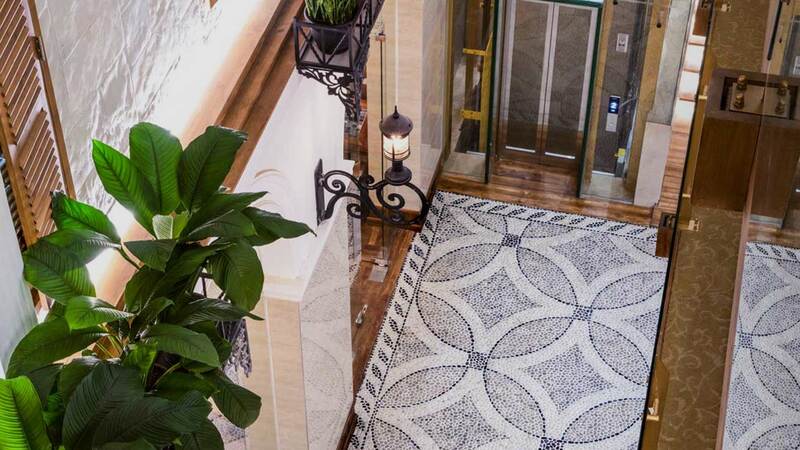 The Radh, an architectural marvel of the tallest order, exudes unsurpassed opulence inspired by the traditional Kandyan design motifs, all of which are intricately wrought into both the exterior and the interior decor of the property. Thus, a stay in one of our deluxe rooms and suites in Kandy will transport you into a bygone era, giving you a priceless opportunity to enjoy the best of both worlds. 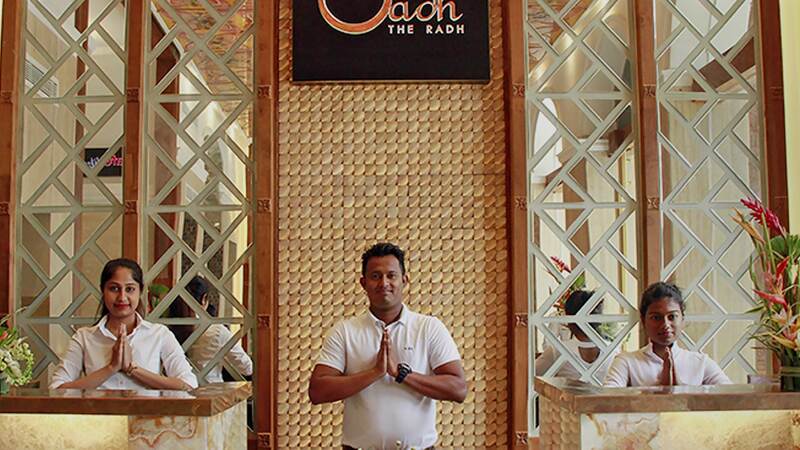 The Radh staff, who have been highly trained to live and breathe hospitality and offer impeccable standards of service, are quite excited to bid you a warm welcome and make your stay blissful and memorable in every possible way. Hospitable in the truest sense of the word, they’re always ready to walk the extra mile for you.